Register now to guarantee your seat! Authors & Speakers – More Announced Soon! CLA Young Adult Book of the Year winner Lesley Livingston will join us for the Sword, Sorcery, and Star Wars Panel Discussion. Member of the Ardoch Algonquin First Nation Rick Revelle will join us for the First Nations Panel Discussion. Governor General Literary Award nominee E.K. Johnston will join us for the Sword, Sorcery, and Star Wars Panel Discussion. Author and poet Deb Loughead joins us for the Relationship Drama Panel Discussion. Concorde Book Award winner R.J. Anderson will join us for the Sword, Sorcery, and Star Wars Panel Discussion. 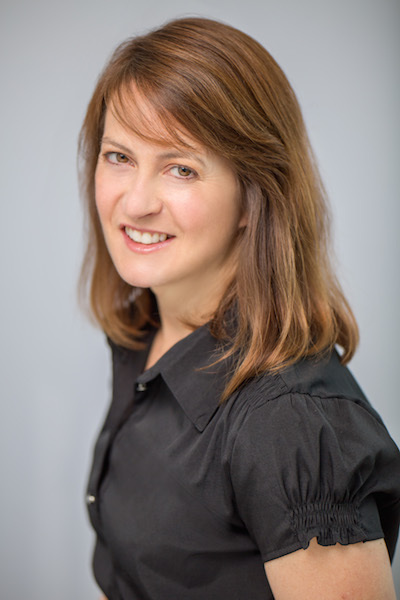 Novelist and playwright Danielle Younge-Ullman will join us for the Relationship Drama Panel Discussion. 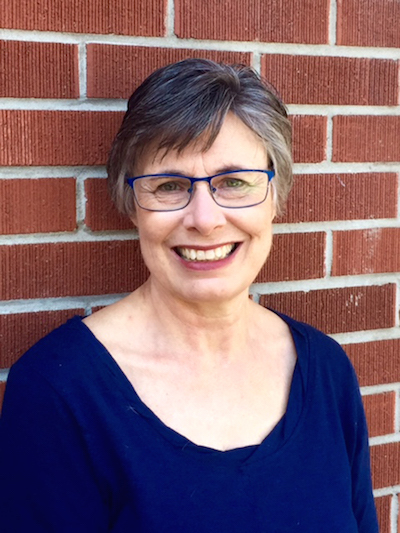 Award-winning author of over thirty novels Sylvia McNicoll will join us for the Magnificent Middle Grade Panel Discussion. TD Canadian Children’s Literature Award and prestigious Vicky Metcalf Award winning author Marthe Jocelyn will join the Magnificent Middle Grade Panel Discussion and will teach a Writing Workshop. 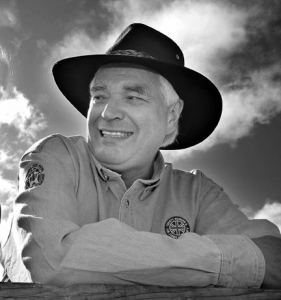 Former lieutenant governor of Ontario and bestselling author James Bartleman will join us for the First Nations Panel Discussion. Our YA authors are touring local schools to meet hundreds of students for engaging discussions and workshops. If you keep a diary, gossip with your friends, or send 400 text messages a day, you are a storyteller, making observations about the world around you. That is the first step in becoming a writer. Next comes creating believable characters with dreams, flaws, and obstacles. Then, setting a plot in motion through the characters’ actions and stirring up as much trouble as you can think of. Trying out different kinds of conflict as jumping-off points, you can develop a story line that works for you and your characters, whether it is funny, embarrassing, or full of action. In open discussion with peer writers, brain-storm a variety of possible plot twists, just as you might with your own life. -Thursday March 23, from 4 to 5 pm, in the Stratford Public Library auditorium. -Saturday March 25, from 2 to 3 pm, in the lower floor program room, Stratford Public Library. 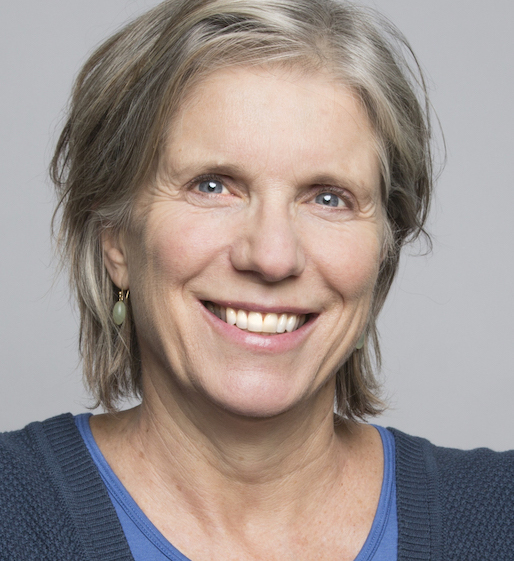 Award-winning author and illustrator Marthe Jocelyn, author of A Big Dose of Lucky, the inaugural Amy Mathers Teen Book Award winner What We Hide, and dozens more, writes and illustrates both Young Adult and Middle Grade books. 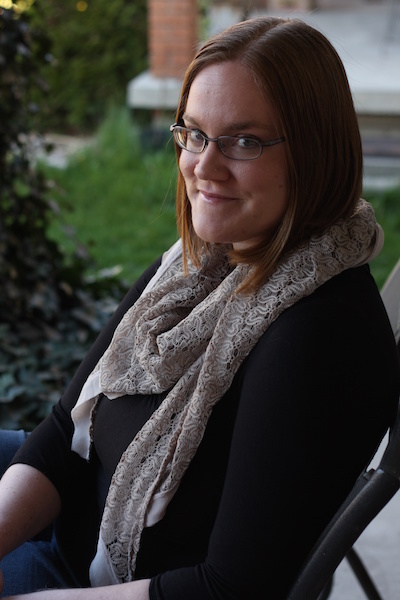 Her picture book Hannah’s Collections was short-listed for the Governor General’s Literary Award for Illustration, and her novel Mable Riley won the inaugural TD Canadian Children’s Literature Award. Marthe is also the 2009 recipient of the prestigious Vicky Metcalf Award for her body of work. This is a FREE Event at the Stratford Public Library. Please call the library to register for the event. Danielle Younge-Ullman is s novelist, playwright, and freelance writer who has also worked as an actress in Toronto. 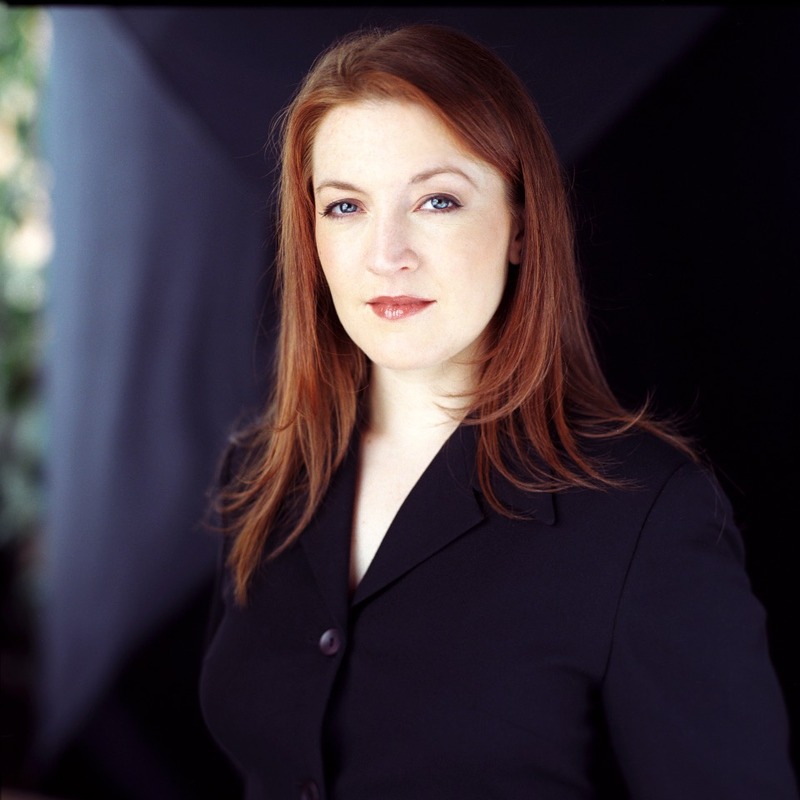 She has written several adult and young adult novels, as well as a one-act play. 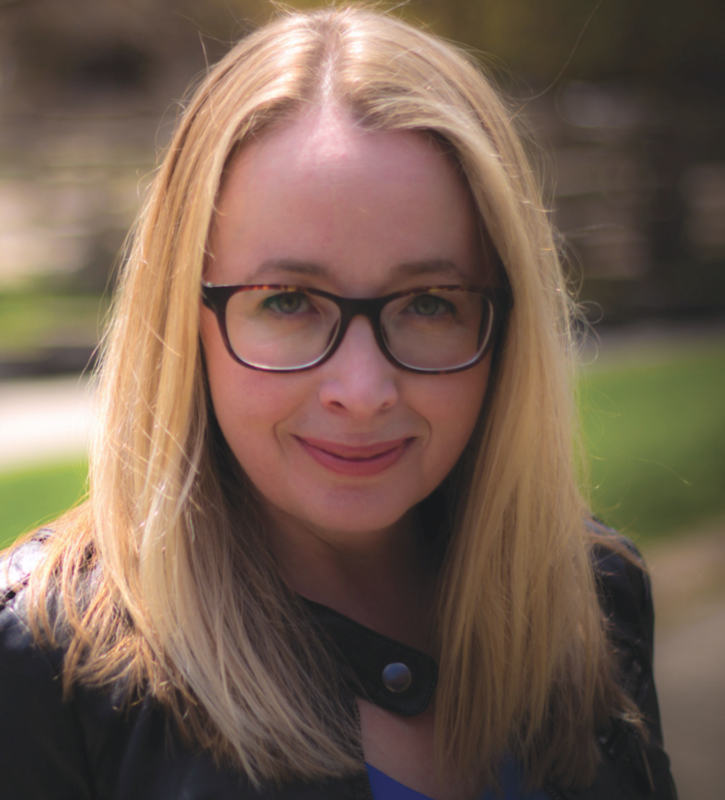 Her new contemporary young adult novel, Everything Beautiful Is Not Ruined, is about a tumultuous mother-daughter relationship set in the city of Toronto. Deb Loughead is an author, poet, and editor who has written short stories, articles, poetry, and even children’s plays, and her award-winning fiction for adults has appeared in a number of Canadian publications. Deb has also taught creative writing classes and led writing workshops. Her new young adult novel, The Secrets We Keep, tells the story of several young people struggling to deal with a dark secret and uncover a terrible truth. Helen Kubiw is the blogger behind CanLit for LittleCanadians, a teacher-librarian, a book reviewer for Quill & Quire, former chair of the Ontario Library Association’s Forest of Reading, and current YA Authors’ Co-ordinator for the Eden Mills Writers’ Festival. She lives in Eden Mills, Ontario. Join us for a lively conversation with three beloved award-winning Canadian Middle-Grade authors! 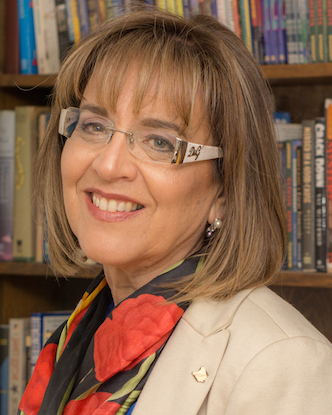 Sylvia McNicoll is the award-winning author of over thirty novels. Bringing up Beauty won the Ontario Library Silver Birch Award and earner her international acclaim, while Crush.Candy.Corpse was shortlisted for the Arthur Ellis Young Adult Crime Writing award and Revenge on the Fly for the Rocky Mountain Award. 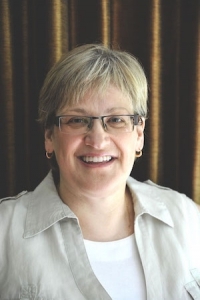 Sylvia has also worked as the editor of Today’s Parent Toronto, and now gives her time to the Canadian Children’s Book Centre and Access Copyright. Award-winning novelist R.J. Anderson writes contemporary fantasy and science fiction for a young adult audience. Her debut novel, Knife, won the Concorde Book Award, while her teen thriller Ultraviolet was shortlisted for both the Sunburst Award and the prestigious Andre Norton (Nebula) award. Her most recent series is a pair of middle grade mysteries: the CLA Top Ten pick A Pocket Full of Murder, and the recent A Little Taste of Poison. From swords and sorcery to adventure and fantasy, you’ll find it all inside the novels our author panel has written. Whether you’re into Star Wars or Treasure Island, join us for a panel of award-winning fantasy authors—Lesley Livingston, EK Johnston, and R.J. Anderson—in this author reading and panel discussion! This panel discussion also augments the Stratford Festival production of “Treasure Island” at the Avon Theatre. Lesley Livingston is the author of the “Wondrous Strange” trilogy, and the winner of the CLA Young Adult Book of the Year award, a finalist for the Indigo Teen Reads award and the Monica Hughes award, and author of one of CBC’s “100 YA Books That Make You Proud To Be Canadian.” Lesley has also performed in a Shakespeare theatre company aimed at young adult audiences. Her latest book, Valiant, is set in ancient Rome and stars a resilient female heroine who must overcome vicious rivalries, chilling threats, and the dangerous attention of Caesar himself. E.K. Johnston writes everything from contemporary fantasy to fairytales to stories set in small-town Ontario. Her most recent novel, Exit, Pursued By A Bear, is based on Shakespeare’s A Winter’s Tale, casting the queen as a cheerleader who is faced with the immense challenge of overcoming sexual assault. Her upcoming novel, That Inevitable Victorian Thing, is set in a near-futuristic British empire. Join these three award-winning authors as they read from their latest fantasy novels, followed by a spirited Q&A period. This event is a must for fans of fantasy novels as well as Canadian literature! Welcome, authors! Now you can easily write, edit, and design digital and print copies of your book, have it reviewed by the esteemed Library Journal, and make it available to readers across the country ! How? 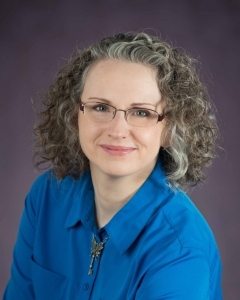 Let Stacey Lapp, Digital Access Librarian, show you the way, using the Stratford Public Library’s new, free online tools, PressBooks and Self-E.
For centuries, storytelling was central to Indigenous peoples. Long before we had books, storytelling kept history and traditions alive. Join master storytellers, James Bartleman and Rick Revelle in a captivating discussion of their work and how it relates to First Nations issues. This event includes entry to the Stratford Perth Museum and integrates the “Nanuk’s Journey” exhibit of 40 major sculptures from the AGO’s Samuel and Esther Sarick Collection. This panel discussion also augments the Stratford Festival production of “The Breathing Hole“, a new play by Colleen Murphy directed by Reneltta Arluk (Gwich’in and Chipewyan-Cree). James Bartleman is the former lieutenant governor of Ontario and the bestselling author of the novels As Long as the Rivers Flow and The Redemption of Oscar Wolf. A member of the Chippewas of Rama First Nation, he is also a retired ambassador and a member of the Order of Canada. He currently lives in Perth, Ontario. Rick Revelle is an author and member of the Ardoch Algonquin First Nation who currently resides in Glenburnie, Ontario. 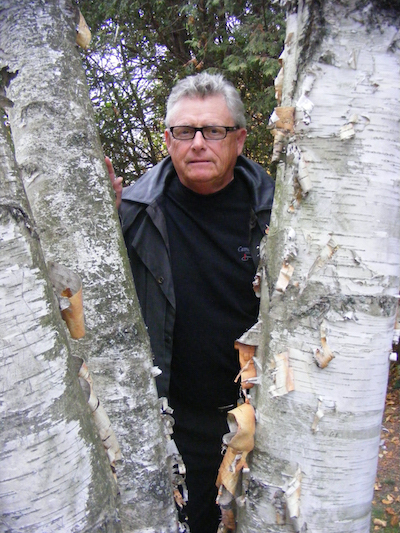 He writes about his Algonquin roots in his “Algonquin Quest” series, which includes I Am Algonquin and Algonquin Spring. Rick did not discover his heritage until his mid-thirties, and later in life set out to tell an Algonquin story to a young adult audience. He is currently working on the third book in the trilogy. Fanfare Books will have a selection of books from all the Young Adult authors that are appearing at the festival. Meet your favourite and up-and-coming authors, learn about the inspiration behind their books, and hear their stories come to life. We offer more than a reading, as our events also feature unique aspects such as literary performances, on-stage Q&As where authors engage with the audience, or panel discussions between peers. We encourage everyone to share your story! Take part in a writing workshop or a self-publishing workshop offered during the festival. Step beyond the pages of a book and experience the intersection of literature and the arts. Attend a literary performance during the Canadian Change Conversation Showcase where we celebrate Canada’s 150th! Book Lovers Can’t Wait to Attend! Our unique programming offers an intersection of literature and the arts, from actors reading along with authors, to literary musical performances. There’s so much to see and do in Stratford, from strolling the acres of parks and gardens along the Avon River, to cafes and restaurants, theatre, art galleries and music. It takes a dedicated team to deliver a unique literary arts festival where writers can share their story. We are grateful to our sponsors and partners for their continued support. For further information regarding the submission process, please read through the questions and answers below. If you have any additional questions regarding eligibility or the submission process, please email us. 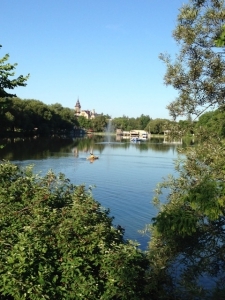 Can I present my work at the Stratford Writers Festival? 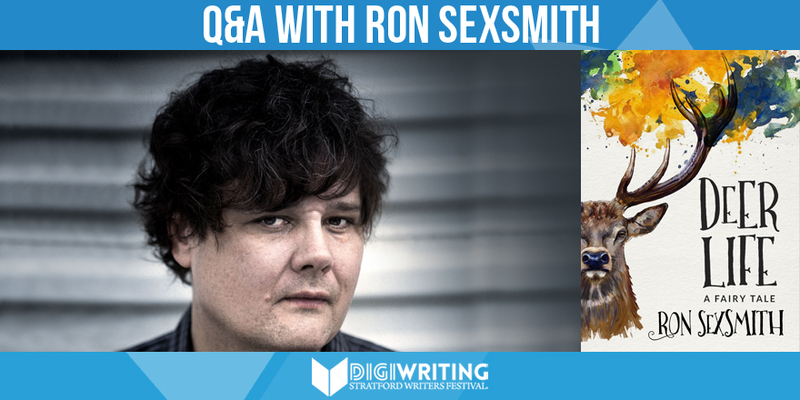 Participants at the DigiWriting Stratford Writers Festival and other literary events are invited based on the strength of their published work. Generally submissions are sent by publishers, but we do accept submissions directly from writers. In order to be considered for an invitation to appear at the Festivals or any year-round Festival events, publishers and authors are invited to submit a one page proposal along with any promotional materials or relevant press clippings. What kind of authors are you looking for? Above all, we look for writing of exceptional quality, but we are also committed to representing a broad range of genres, styles and places of origin. There is not a firm deadline for submissions but invitations and scheduling are usually finalized months prior to the event. Because there are so many submissions, the earlier you can get work to us, the more likely we will be able to seriously consider it. Are Advance Reading Copies or galleys acceptable submissions? While we prefer print copies, early reading copies and uncorrected proofs in electronic format (PDF or ePUB) for future releases are acceptable. Manuscripts, however, are not acceptable. 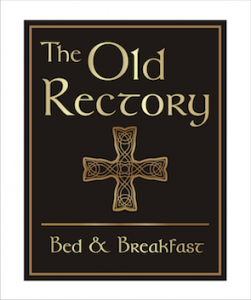 We are most interested in books that will be available in time for the start of the festival. Please note that due to the volume of submissions, we cannot return material submitted, but books are donated to the Stratford Free Little Library project and relevant charities. Are self-published books eligible for submissions? Yes, we do accept self-published books. Please follow the same submission instructions already posted. When do I know if I've been accepted into the Stratford Writers Festival? Please note that while we receive many submissions and recommendations from enthusiasts, presentation slots in the schedule are limited. We are very grateful for this interest in our festival and do take time to consider proposals, but due to the high volume of submissions, we are unable to respond to every recommendation and only writers invited to participate will receive a response. From October 20—22, 2017, the Stratford Writers Festival will take over Stratford, Ontario. 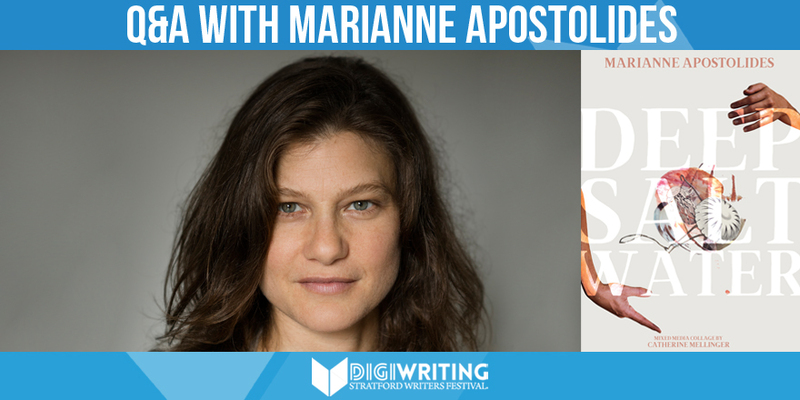 We chat with attending author Marianne Apostolides to ask her a few questions about her latest project, Deep Salt Water, and why literary festivals are important to the Canadian artistic community. 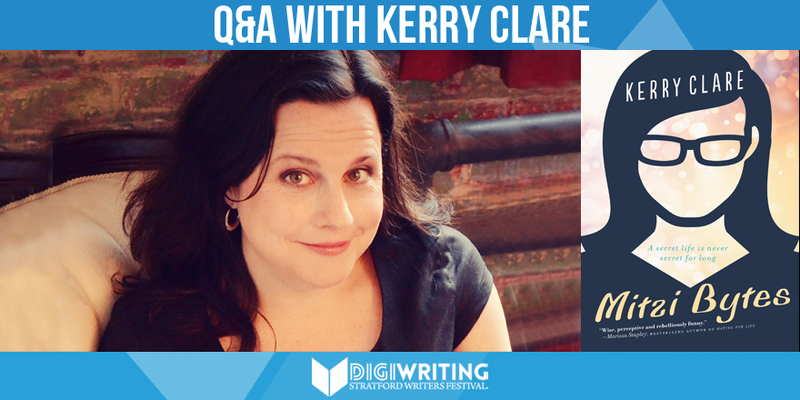 With the Stratford Writers Festival rapidly approaching, we caught up with attending author and renowned blogger Kerry Clare to ask her a few questions about blogging, privacy, her latest projects, and why literary festivals are important to the Canadian artistic community. 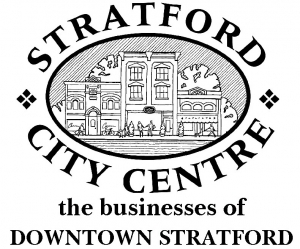 Join Book Lovers in Stratford this May 6, 2017! I Can’t Wait! I Want To Buy My Tickets Now!